I started this post months ago, and never finished it. When my sweet friend Kristen at Ladybug's Teacher Files asked about homework organization on her Facebook page, I was *inspired* to finish it. :) I also thought it might be fun to find out how other bloggers organize and assign homework. A couple of summers ago, I was hanging out with one of my favorite teacher peeps and saw her kiddos' homework journals. They were in kindergarten at the time, but I immediately thought, "This is genius!" She and I started talking and she said she loved it - they were easy to keep up with, the kids could look back on previous assignments to review skills, and it was also a great parent-teacher communication tool. I talked it over with my teaching partner and we decided to try it in 3rd. Two years later, it's spread throughout our whole grade level and several other classrooms in our building as well. We love it! One of the first out-of-pocket purchases I will make this summer is 25-30 composition notebooks. I wait until they go on sale at Office Depot/Office Max/Target/wherever for $0.25 each. It ends up being a $5-6 purchase - and well worth it for us to be able to start the first day with our homework journals. Yes, you read that right. We give homework on the first day of school. I know. I'm such a meanie. But honestly, it fits right in with our lessons on Habit 3: Putting First Things First and it gives our students a chance to apply it right away. 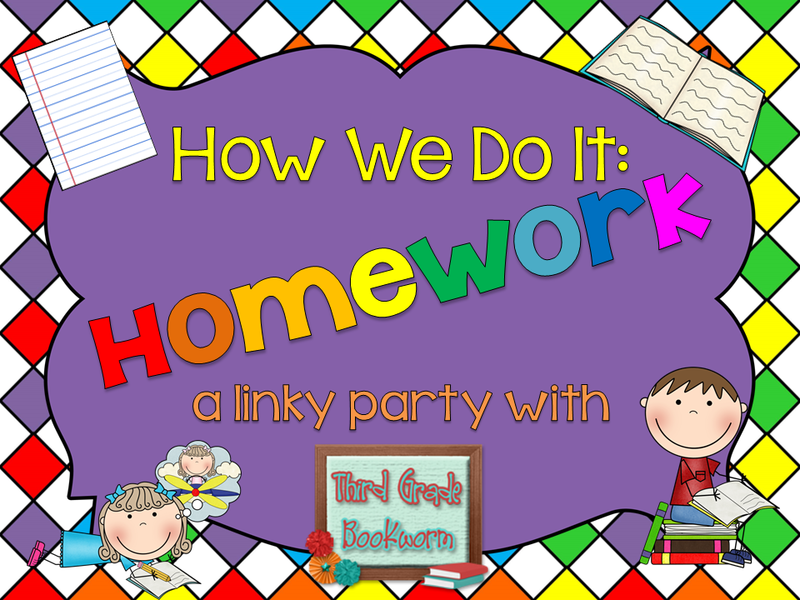 We have our first "family group meeting" where we combine both homerooms for a big talk and go over our homework expectations, rewards for completing it all week long, and consequences for leaving it at home or bringing it back incomplete. We assign homework Monday - Thursday, one language arts and one math assignment each night. We have a set time each day where we both go over and give the kids time to glue in their homework or write down the night's assignment(s). All homework turned in on time all week long = Homeworkopoly the following Monday. We use Kristen's game board! Since we don't assign Friday homework, this works out perfectly! The kids play as they come in for the day and it doesn't take up any of our instructional time. If they don't turn in an assignment, they don't play. Period. This might seem a little harsh, but because we stick to this, we rarely have homework issues after the first six weeks. When they are missing something (barring a family emergency), they take an extra copy of the assignment to lunch and complete it there. They don't have silent lunch, but when they have to make up an assignment, they don't do much talking on their own. Homework on the first night of school! We start the first week with one assignment each night, and it alternates between language arts and math. We've learned that growing our expectations for the kids instead of throwing everything at them all at once builds their confidence and willingness to get their homework done. This also ensures that (almost) everyone will be able to play Homeworkopoly after the first week - another big motivator. The very first night, we ask them to write about their first day at school. It gives us a chance to see things from their perspective, get to know them a little bit, and it shows me where they are (relatively) with their writing abilities! The second week of school, we add in 2 assignments per night (language arts + math). By the third week, they were doing language arts, math, and a reading log. By December, I ditched the reading logs. I know... they have to read... they need to read... but here's the thing I finally learned after 13 years of homework and teaching: Reading logs have the tendency to turn parents and children into liars. Not all of them, but a lot of them. We found that when we were making copies, we could reduce everything to 85% and it fit fabulously in their journals. It we needed it full size, they just folded it in half and glued the bottom half to the page. You can *almost* see at the top where K wrote "CHECK POCKET." We glued a manila envelope (the kind with a clasp to close it) on the back cover so that we had a place for notes from school, notes from us, spelling lists, permission slips, etc. It really worked out beautifully. The kids also used their journals as a reference. We throw in review skills once or twice a week, and when the kids get "stuck" they can look back through old homework assignments to kickstart their brains. It's helpful to parents as well! Now it's your turn! I would love to hear how YOU do it! :) Just grab the image at the top, put it in your post, and link up with your post (not your blog's home page) at the bottom! I absolutely love this! I am going to do this! Thank you! oh Abby!!! You have given me so much to think about! This is what I ❤ ❤ ❤ about blogging!! I really, really like how everything is in one place for your kids. I never would have thought of reducing the pages like that, they look like the perfect size. I love this, thank you so much! Thanks for sharing your expertise Abby! I love your "Homework Journal" idea! I am definitely going to start something similar this year. I also agree about the reading logs....it seems that those kids that love to read are going to read whether you assign it or not, and those that don't love to read are the ones that will fib or their parents will just sign anything. Thanks for sharing!! Wow! This is an awesome idea. I just might have to use it :) Thank you so much for explaining in such great detail exactly how your homework journals work!!! 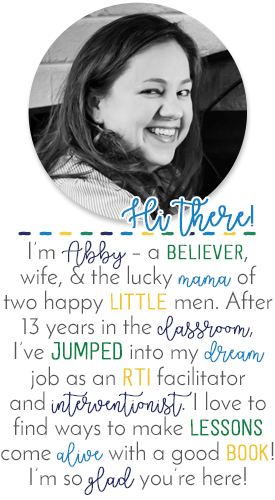 This post is amazing Abby! Your homework journals are SUCH a great idea! I did something like this before in math, but how cool is it that you include ALL subjects. It's such a great reference for kids to go back and review later on as well. Now you've REALLY got me thinking! Thanks so much for sharing! This is BRILLIANT! I am team teaching for the first time this year, and I really think this is a great way to maintain consistency. Thanks! I am Lovin this idea! Really considering moving to this for my 3rd graders this year as I normally give math & language arts homework as well. Seems so organized! Do you correct the homework each evening? Have you ever considered publishing your Homework topics for each night? I'd love to have those as a springboard to create my own, and I'd happily pay for them! Great idea!!! Funny you should mention that! ;-) I'm thinking of working on monthly homework sets... Yes? Sometimes we "sacrifice" a side... other nights we stick the paper into a pocket the kids create in their notebook. I'll see if I can't find a picture or two and write a post on that. Great question!! Just a thought...while browsing Amazon.com, I noticed that Carson-Dellosa has updated its Math 4 Today series and added an ELA 4 Today. These would be perfect for your homework journal--two copies would last the entire week. One sheet in the notebook would hold the day's math, ELA, and Reading log. . .just a suggestion. I LOVE the homework notebook idea!